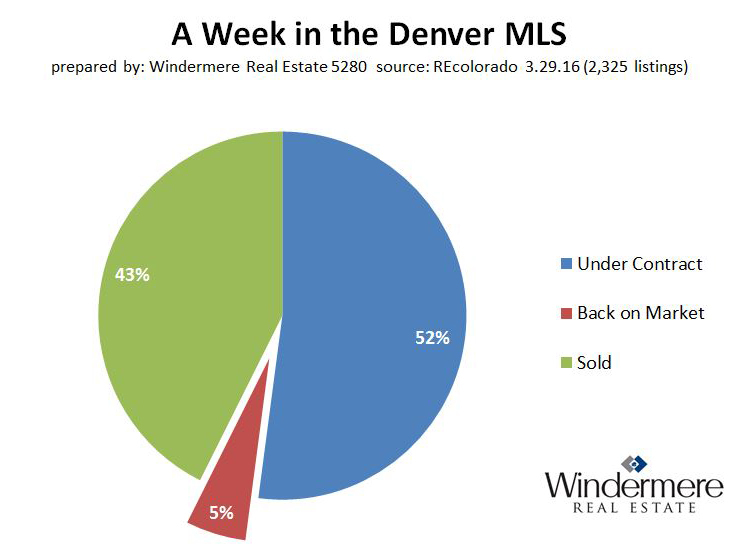 With the home inventory at all time lows our team is constantly monitoring the listing activity in the local MLS – REcolorado, and some interesting observations can be made on reviewing the data over this past week. 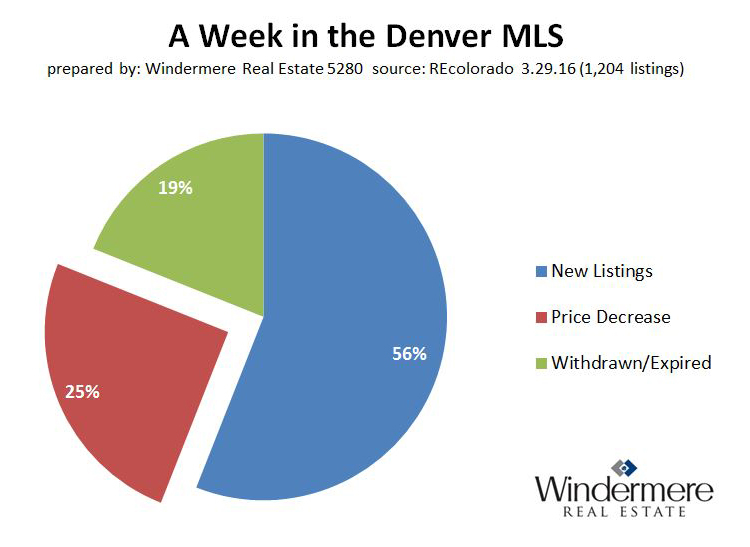 This first graph takes a look at how new listing numbers (homes just placed on the market for the first time) compare with price reductions and failed sale attempts (withdrawn & expired listings) over the last 7 days. Only 674 new listings came on the market. Relative to the number of new listings, nearly half of that number reduced their price. 229 listings were takes off the market because they failed to sell (roughly 1/3 the number of new listings)! The listings that are priced well are moving very quickly and often choosing between multiple offers, but the impact of this lessens as price increases. Once a listing goes under contract as it will either successfully close or go back on the market for some reason. The data here shows that relative to the Sold listing numbers roughly 9 out of 10 are successfully closing which leaves 1 out of 10 coming back on the market. We’ve seen this number fluctuate over the last 6 months, with the current numbers actually on the lower end. This could be due to the fact that we are near month end, but some would still find it surprising given the low inventory market we find ourselves in. Properly positioning a property within the market not only with the right price, but also an effective marketing plan and the benefits of the Windermere Certified Listing program have lowered our price reductions and expiration rate to nearly zero, while still maximizing the bottom-line return for our sellers. To learn more, connect with one of the amazing Brokers on our team!